Business Events Victoria held its Regional Victoria Business Exchange on Thursday 17 August at the Ivy Sunroom in Sydney. Over 70 business events industry and clients came together to learn why regional Victoria is the perfect location to host business events. The successful event, now in its third year, allowed for clients to speak directly to regional experts via a formal business exchange. The business exchange provided a structured platform where small groups of clients rotated around the different regional partners in attendance. “The format of the evening was great! It really provided us the opportunity to learn about the different venues and destinations and ask specific questions about our event requirements,” said Ms Kerri Ashcroft, Bayer Australia. 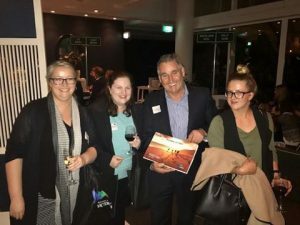 “We have attended all three events conducted by Business Events Victoria in Sydney and this by far was the best. Great quality clients with a real interest in what we had to tell them. We have already confirmed a piece of business from the night. We look forward to hosting this group in regional Victoria very soon,” said Mr Garry Sudika, Lancemore Group Hotel. “Our clients have less and less time to meet with businesses to discuss their event requirements. 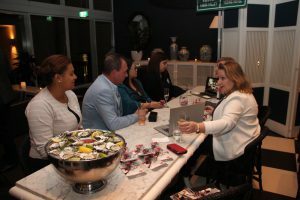 The event provides a great platform for clients to meet regional operators, build relationships and hear about the latest and greatest offerings from regional Victoria, in a relaxed evening, in the heart of Sydney,” said Mr Chris Porter, Executive Officer, Business Events Victoria.